For our most regular updates do please feel free to 'like' us on Facebook. 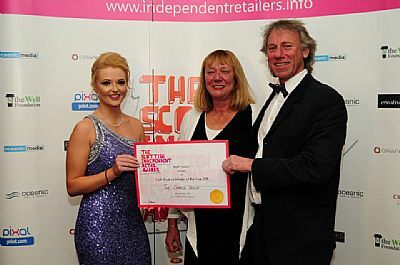 Independent Retailer of the Year! 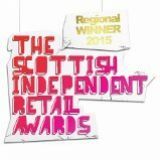 We were delighted to win 'Best Retailer of the Year' at the Highlands and Islands Food & Drink Awards on 21st October. At a glittering ceremony - with fantastic food (as you'd expect) - Emmy, for one, was completely taken by surprise as we were up against some really strong competition. The awards set a very high standard for the industry and we are thrilled to be honoured in this way, and to play our part in promoting the area as an outstanding place for quality produce. In less than a year we've kept digging away and transformed what was a pretty neglected back garden into a special space where we can now put on performances. On Wed 17th August we were delighted to welcome the Flanagan Collective (and an audience of almost 40) for an inaugural performance of their version of 'Orpheus'. 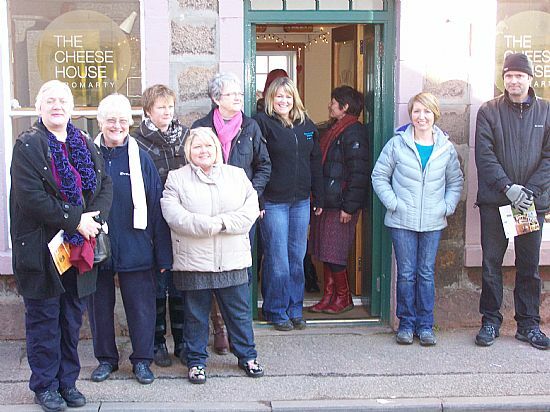 Almost a year after first hearing that the former Cromarty Police Station was coming onto the market we have finally moved premises and completed the renovations to turn the old office and cells into a new retail outlet in the centre of town. 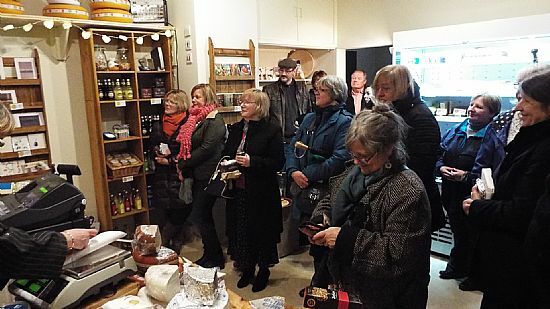 The official launch night was heralded by a piper and accompanied by a short theatrical presentation, obligotary cheesy nibbles and the highly valued support of local loyal customers. 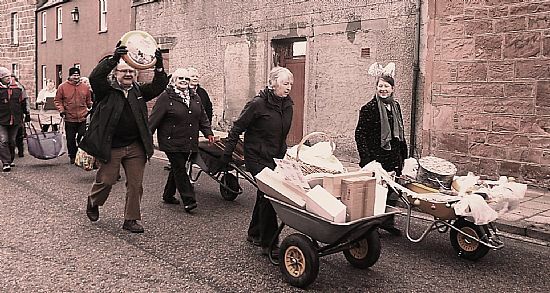 New Year's Eve and our move to new premises is aided by over 60 local people who turn the arduous task of transferring the entire contents of a shop some 300meters from Church Street to the new premises on Bank Street. 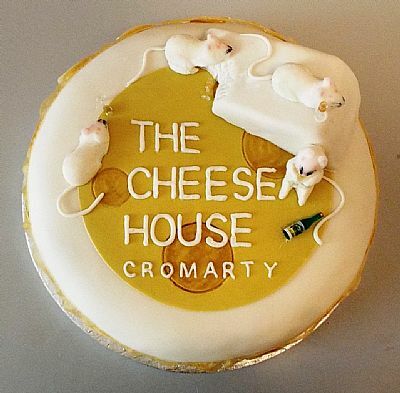 Something of a party and the potential for an annual parade of the cheeses through the streets of Cromarty. As always we like to change our windows to match the seasons. This Spring we've gone all arty. Name the two artists, tell us where they were born and what the link is between them. And you could win a £5 gift voucher! The winner will be picked at random from all correct entries received by April 30th. 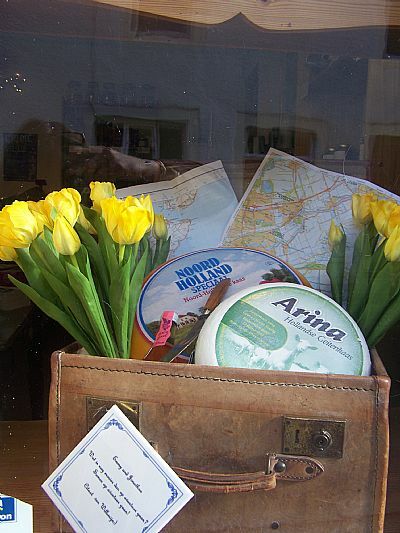 Clue: Our themes are always a mix of Dutch and Scottish. 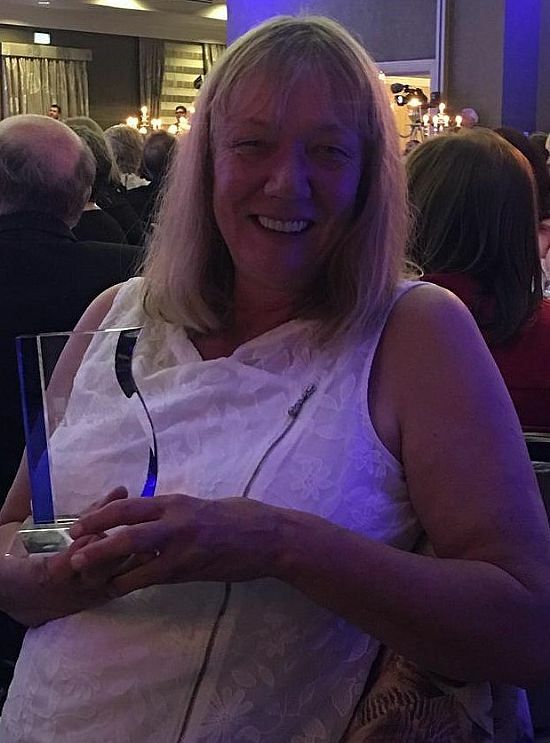 Jon and Emmy celebrated their birthdays in style, receiving the award for winner of the North West - Fresh Produce category in the Scottish Independent Retail Awards. A glitzy night in Glasgow. To celebrate the start of our third year we bring a little festive joy to Church Street. 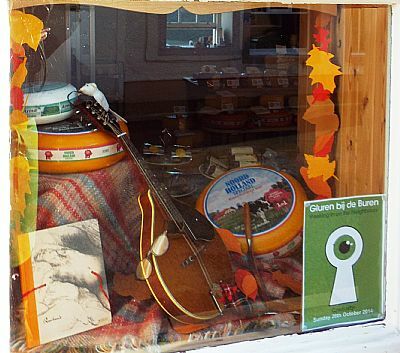 New window displays to reflect the autumn feel - and promote the wonderful musical events that happen in Cromarty throughout the year, including our very own Gluren bij de Buren on 26th October. 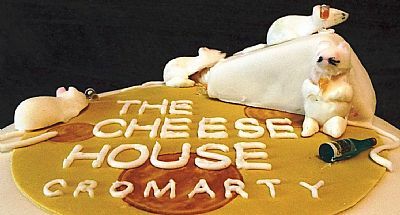 Cozy times indoors with music, a good book and cheese - what could be better! 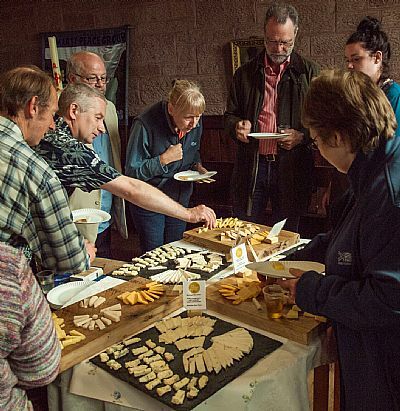 Two marine biology researchers - Mariel ten Doeschate and Eileen Hesse - have been resident in Cromarty for the last few months and were the perfect choice to represent The Cheese House at the Munro Clan Gathering at Foulis Castle. 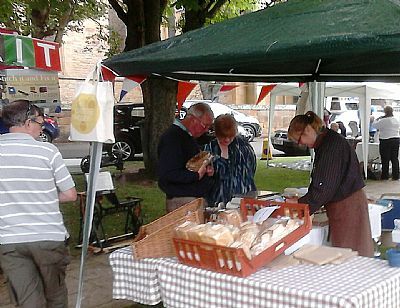 (It was a busy day with Jon at Portmahomack Gala and Emmy running the shop). 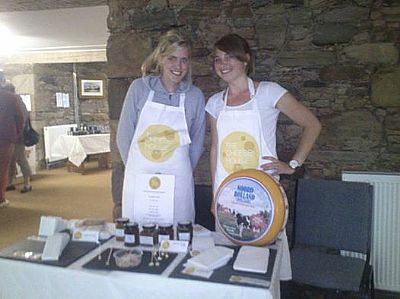 Visitors were curious about the switch from oceanography to cheese-selling but we were delighted to maintain our international credentials! 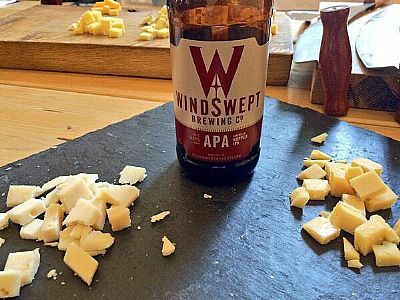 A lovely combined event with Windswept Brewing Co at the cozy Velocity Cafe in Inverness - pairing different beers with different Dutch cheeses. 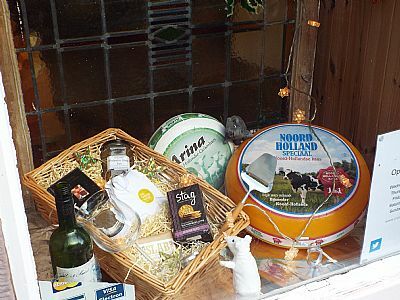 Go on, give it a go - beer and cheese, it really can work. Watch out for the full-blown beer festival in August. 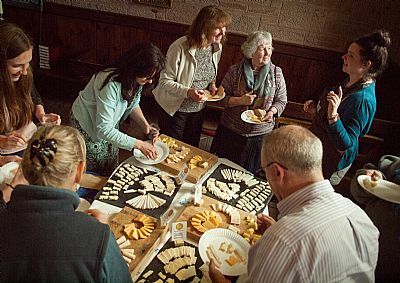 We were delighted to supply cheese boards for a loyal customer's 60th birthday celebrations - especially as the venue was just across the road at St Regulus church! Today we delivered a wedding cake. 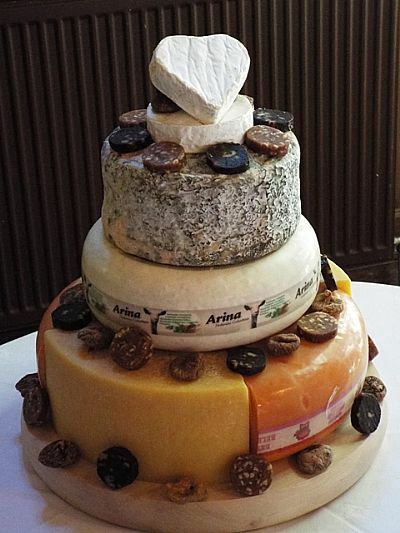 Cheeses are: Connage Dunlop, Extra Matured Gouda (NH), Goat Coriander, Strathdon Blue, Morangie Brie and a Highland Heart on top, decorated with Edendi and figs. 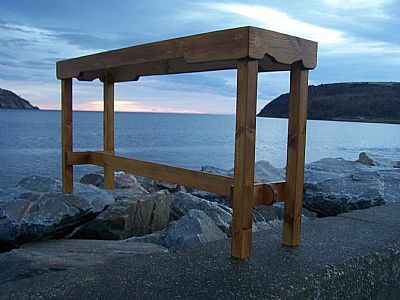 We are always happy to supply special orders like this! 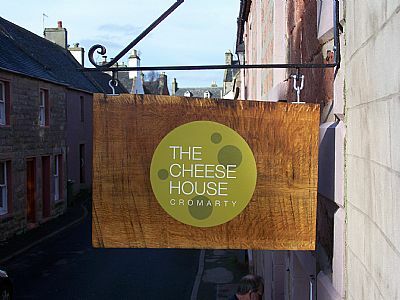 We were very excited to see our new neighbours open the latest food outlet in Cromarty, right next door. 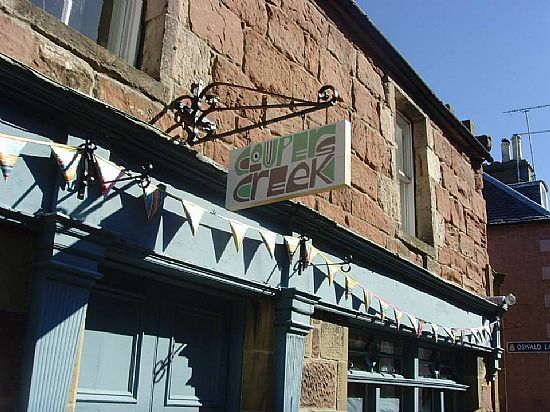 Couper's Creek will be open daily serving light lunches and delicious Black Isle Dairy ice cream. Just another great reason to visit Church Street! 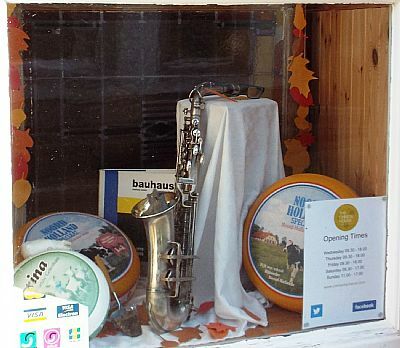 We love to have new window displays for the changing of the seasons. Here's our latest version for Spring 2014. 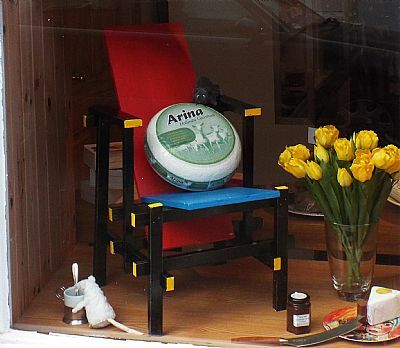 The chair on the left was specially made by Jon and there's a competition on our Facebook page if you know who the original designer was and want to win some cheese. The one on the right was kindly lent by our lovely neighbours Margaret and Peter Scott. They found it in Aldearn Antiques brought from a local orphanage. The ancient and modern - Scottish and... not Scottish. Tell us what you think. 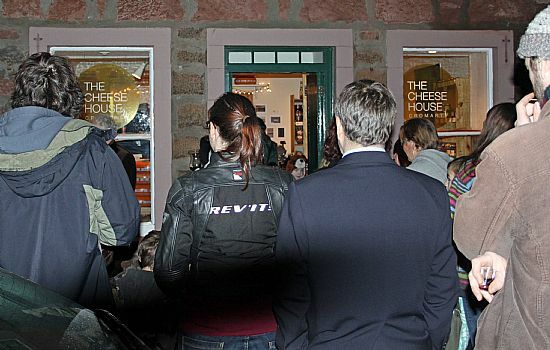 New outlet in Inverness opens with a cheery cheese & wine tasting evening. Sadly this venture was short-lived as the owners were presented with a large rates bill which made the businesses uneconomic to run. 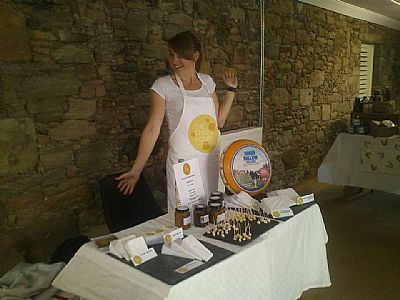 It was a great experiment for us and introduced us to more customers in Inverness who, happily, now come to the Farmer's Market every first Saturday of the month. 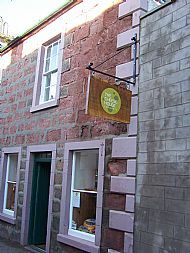 Its an amazingly creative, interesting business for the town of Cromarty. They have a loyalty card! Jon and Emmy are so welcoming - and I eat a lot of cheese. 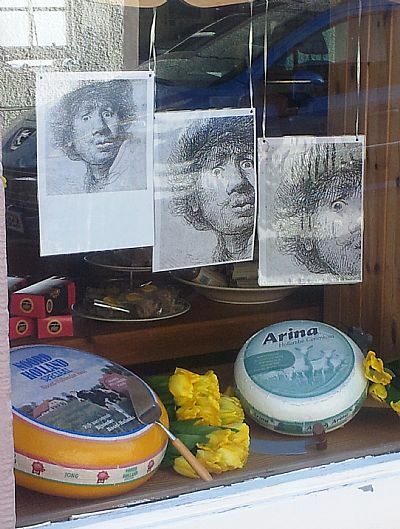 The window displays are wonderful. It has that olde worlde feel with personal service and jolly banter! There is always a smile. 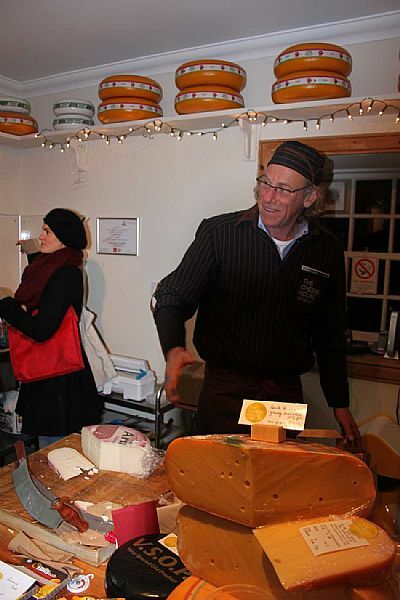 A great local asset (the cheese and the vendors). 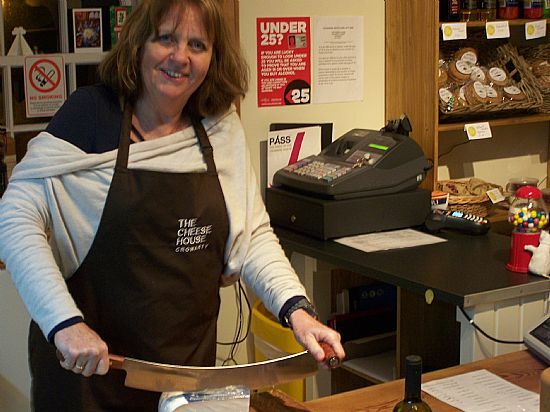 Friendly, helpful and knowledgeable proprietors - and the cheese is good too! Gluren bij de Buren. 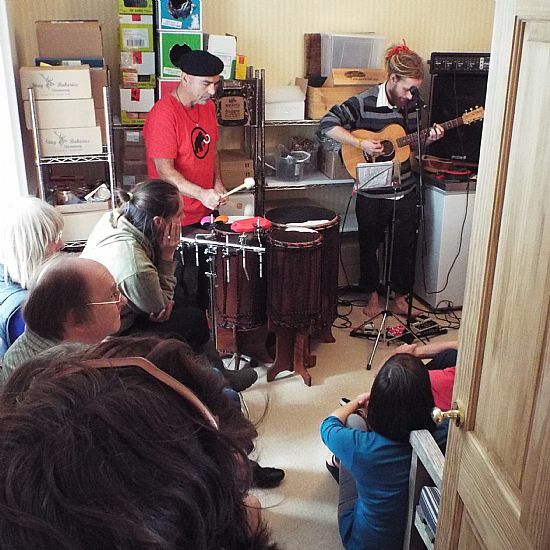 10 houses, 30 performances and over 100 people strolling around Cromarty 'peeking in on the neighbours'. We were delighted to have the wonderful 'Little Bongos' making joyful music in our store-room as part of a hugely successful afternoon. 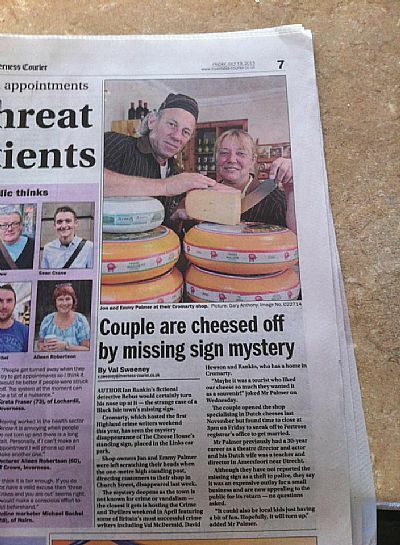 This newspaper article has probably brought in as many customers as the missing sign itself! Thanks Inverness Courier. 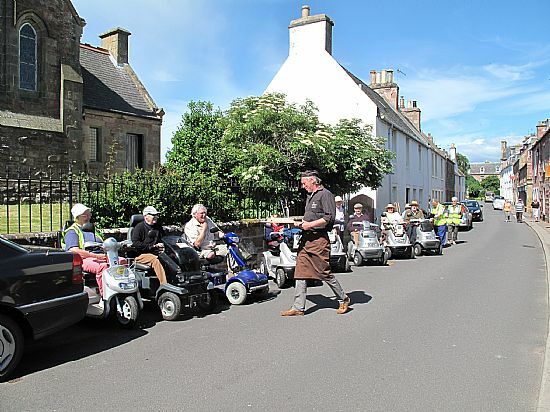 Members of a Highland Disability group enjoyed fantastic weather on their trip to Cromarty, and it would have been a squeeze to fit them all in the shop, so we took to the streets for an impromptu cheese-tasting. Always something to see on Church Street! 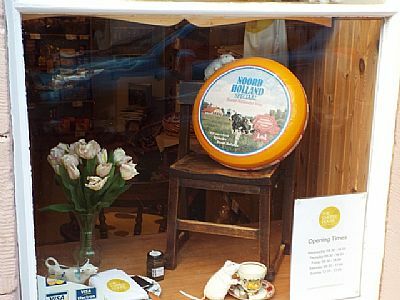 True to British form our new summer window displays co-incided with the first proper rain we've had for weeks. We hope they spread a little sunshine nonetheless. 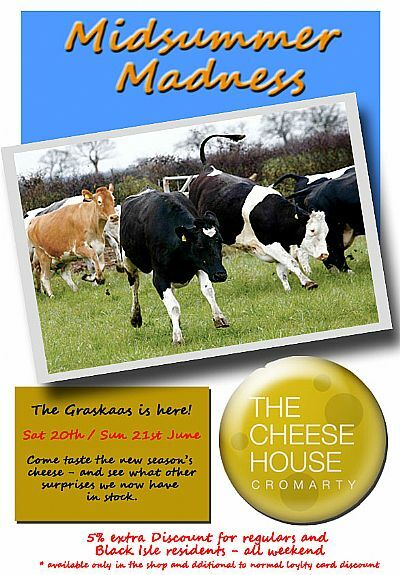 Boats large and small in the Cromarty Firth hail the start of the summer season - and passengers are enjoying The Cheese House when they visit Cromarty this year. 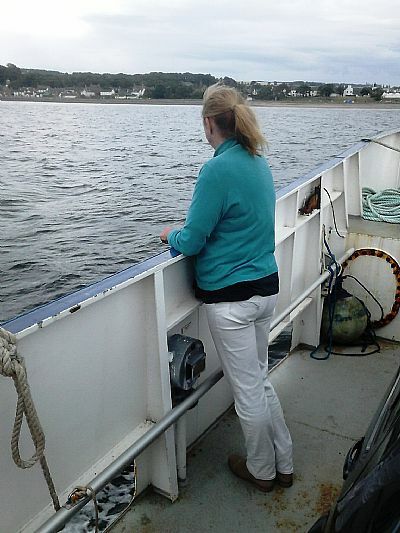 Already we've seen the benefit of the Cromarty-Nigg Ferry with residents from the North using it as an easy hope-over to Cromarty as well as holiday-tourers passing through the town rather than using the A9. 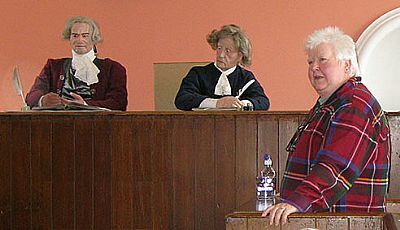 Celebrity Crime Fiction writers, including the wonderful Val McDermid, enjoyed shopping for cheese inbetween their busy schedule of talks at the inaugural festival held this weekend. 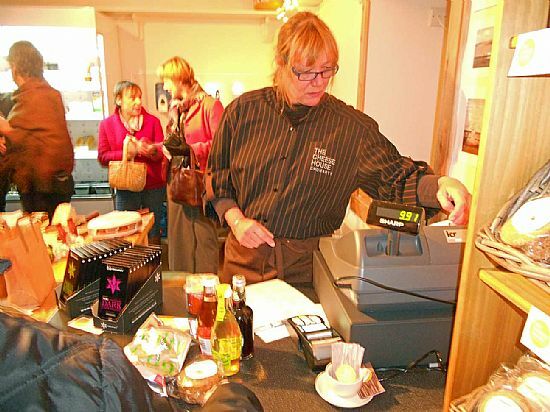 It brought a lot of new faces to the town, all of whom were delighted with our shop and who we were very pleased to serve. 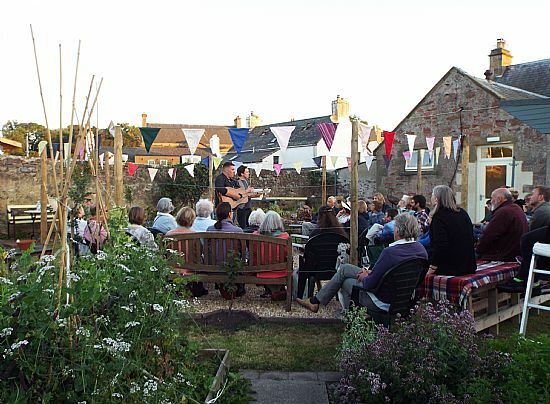 Congratulations to Cromarty Arts Trust for organising such a successful event. For the start of the Spring/Summer season we introduce a loyalty scheme as a thankyou to our regular customers. 5% off for every £50 spent. Ask for our special loyalty card and we give you a stamp for every £2.50 spent. Collect 20 stamps and you get £2.50 off your next purchase. Local businesses got together for a walking tour of the town - to learn more about what each other does and find ways to help promote the town. 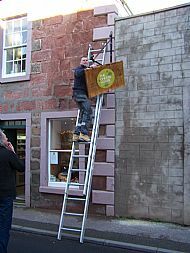 Our beautiful new sign finally goes up - with a little help from the neighbour. 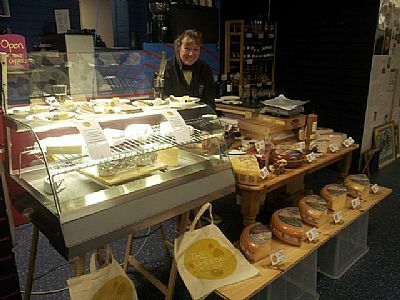 25/1/13 - For those of you living further afield and missing our cheeses - you can now order by phone and pay online. 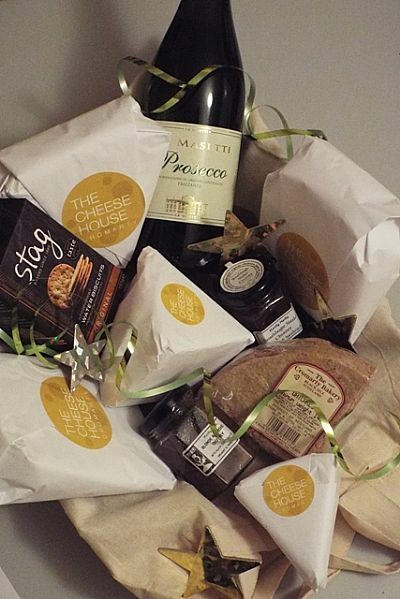 We also do Gift Vouchers - for any amount, to spend at any time. 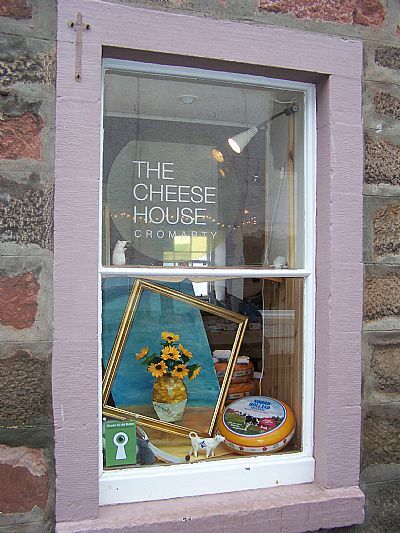 9/1/13 - we are planning some special promotions and exclusive offers over the coming weeks - for Burns Night, Valentine's Day, keeping cozy over the winter months and looking forward to the onset of Spring (all cheese-related of course) - so keep watching this space. For now we wish 'a guid new year to one and all'. Long-standing friend from the Netherlands, Petra van 't Klooster, came to stay between Christmas and New Year. 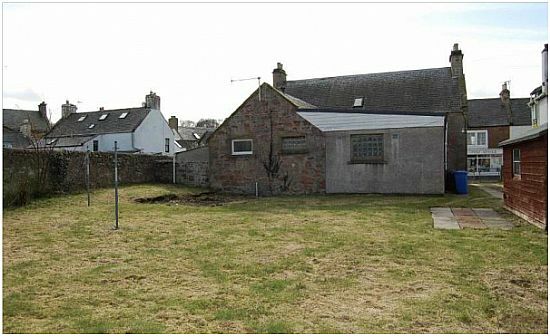 Petra grew up living and working in her father's shop in Amersfoort so couldn't resist lending a hand here in Cromarty and re-living childhood memories. 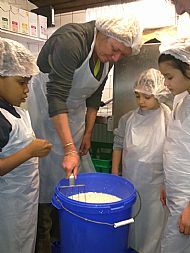 Great support at a very busy time. 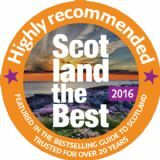 Top marks to Highland Council for arranging an alcohol licence in double quick time so that we can add to our offer over the Christmas and New Year period. 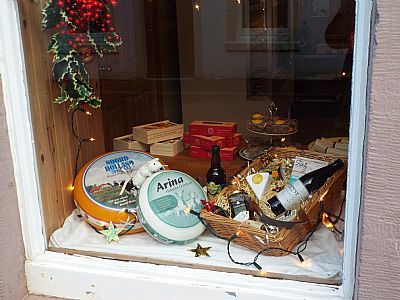 The occassional licence permits us to sell exclusive wines and spirits from 21st - 31st Dec 2012. See Our Products/Drinks for a full break-down of what's available. 18th December 2012 - Emmy arrives from the Netherlands for good - so now you have a choice as to who serves you: Jon who pretends to know what he's talking about when it comes to all things Dutch, or the real thing! 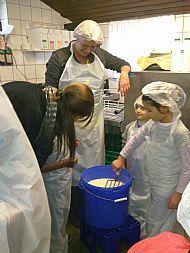 Emmy gets some last-minute practice in with her school children, at a Dutch cheese farm in Soest, before properly moving to Cromarty next week. 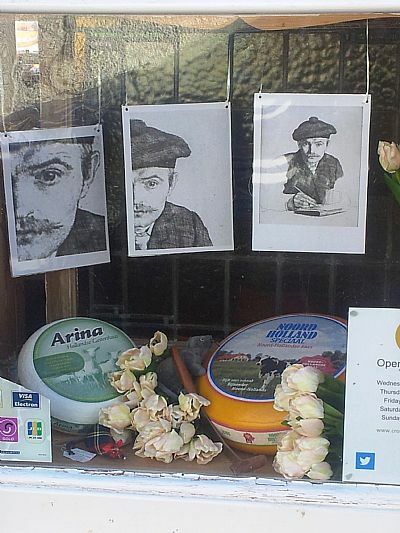 The special table made by Jon to display the Dutch cheeses awaits their arrival from across the North Sea!